This custom 4,000 s.f. 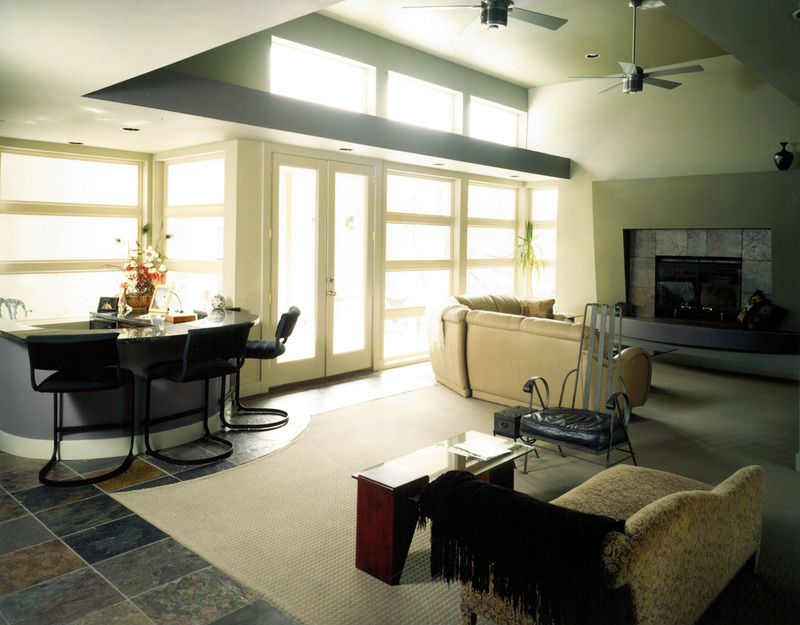 residence was designed to create an home that blended exterior and interior spaces. 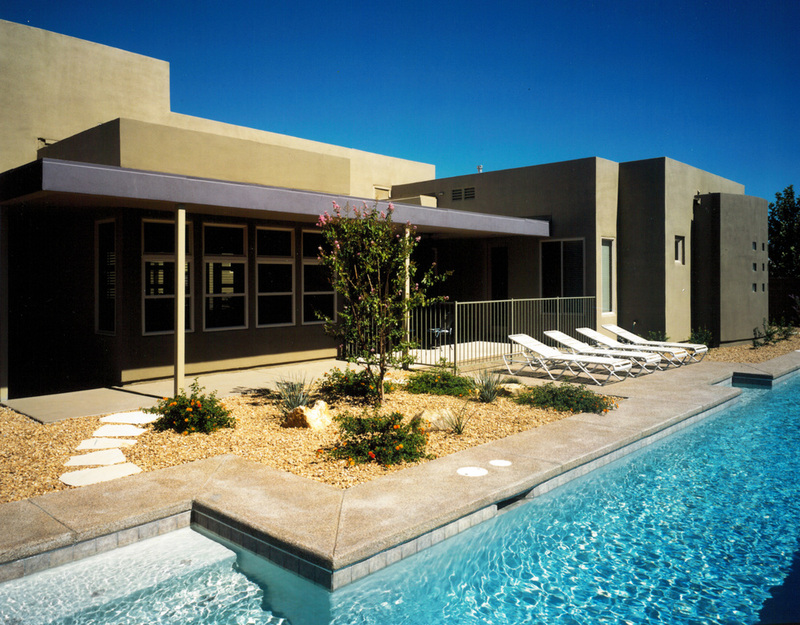 The architect and owner worked hand in hand to create a plan that would enable the client to enjoy the outdoor desert weather during the temperate months. The floor plan of the house wraps around a central and private courtyard which provides views to each spaces. 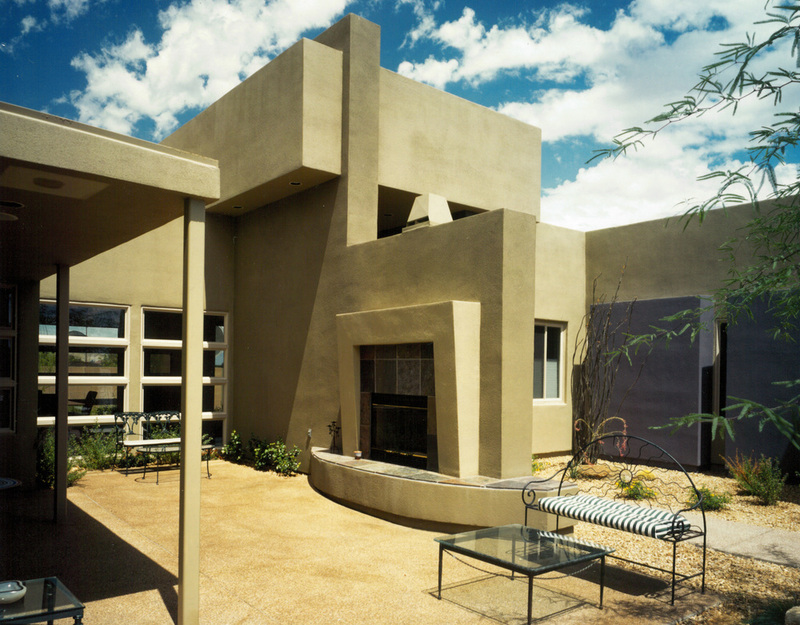 The modern design and desert inpired colors are used to help the residence blend into the local environment.